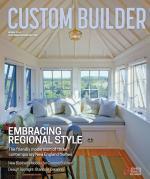 Nigel Maynard is editor-in-chief of Custom Builder and PRODUCTS magazines. Maynard grew up in St. Croix, where he learned construction helping his step-dad build the family home from the ground up. Since that early introduction, he has bought and remodeled four homes, and has taken up cabinet and furniture making. His current home was featured on HGTV’s I Want That! and was profiled in The Washington Post. Prior to joining SGC Horizon, Maynard was the Editor-in-Chief of Lebhar-Friedman’s all-digital products magazine, Residential Building Products & Technology. Previously, he spent 14 years at Hanley Wood as senior editor of Builder magazine and its sister publication Residential Architect, where he amassed eight prestigious honors for editorial excellence, including AZBEE and NAREE awards. If you’ve been building homes long enough, you probably recognize this scenario, or something close to it: A client phones you, perhaps at an inappropriate time, frantic that maybe the pantry your subs just drywalled is a bit on the small side. Would it be possible to break it down and reframe it?—with no effect on the budget and with no delays to the construction schedule. This type of change order, though it can be irritating, is part of life in construction. But some changes actually yield better results, whether it’s a larger window that expands the view out to the landscape, pocket doors to make better use of limited space, or the addition of radiant heat under a ceramic tile floor (one of life’s small but much-appreciated pleasures). The world of publishing sees its fair share of changes, too. The magazine you hold in your hands is a perfect example. Previously published six times a year, the “book” will now arrive in your mailbox on a quarterly basis. Sure, it will come less frequently, but when it does, each issue will be filled with more useful content. You’ll notice that we’ve made some minor tweaks on the inside as well. We’ve added three new departments: a column by a guest author, a department focused on the details of your craft, and a page where we profile a custom builder. The guest column features different writers who will expound on business, design, or construction topics that are material to the world of designing and building custom homes. This month, Austin architect Sean Guess talks about the process he uses to design for clients with tight budgets. The details department focuses on those finely executed flourishes—sometimes simple, more often complex—that are some of the things that distinguish custom building from production. And we’ll showcase examples that will inspire you to create your own distinctive details. When you do, feel free to share them with us. In a future issue, we will add a feature called Back Story, where we’ll profile custom builders and explore the practices and processes that help guide their success. Lastly, you’ll notice that our products section has been remodeled. It still showcases great high-end products and materials, but it will have bigger images and a fresh layout. All of the other great content that you expect from Custom Builder remains unchanged. This month, we bring you the award winners from the 2015 Best in American Living Awards and explore the key design trends that emerged from those entries. And we also bring you a fine portfolio of the two most important rooms in a house: the kitchen and bath. Like a custom builder who wants to make sure his client is happy, we want to hear what you think of the new and improved Custom Builder. So send us a note, and let us know ([email protected]).